Any business can have a physical location to call its own, be it a private office, public storefront, or something else. However, remote working and collaboration has made this "central location thing" more of a luxury than a necessity for many organizations. A business can exist entirely on its own principles, regardless of whether or not there is a set of doors to walk through. Managing remote employees can be somewhat of a double-edged sword. On one hand, the benefits of not having to maintain a central office or having to wrangle every team member into a physical room can be immense. On the other hand, managing remote teams can be quite a challenge if your team doesn't have the right tools. While there are many ways to manage remote teams, social intranet software is definitely the most helpful tool available. For remote employees to work together, you need the right software tools. It's unfortunate because many businesses hire remote employees without giving them the appropriate tools needed to get their work done efficiently. Email and phone conferences certainly have their time and place, but they only scratch the surface of what is possible. The best social intranet software will combine all of the necessary tools to manage a remote staff. Files and documents can be uploaded to your intranet and shared among employees. You can also use ranking and ratings to keep important documents at the top of the list, which is perfect for employees to have quick access to internal documentation. Sharing documents has never been so easy, and it's all thanks to well-built intranet software like Communifire. 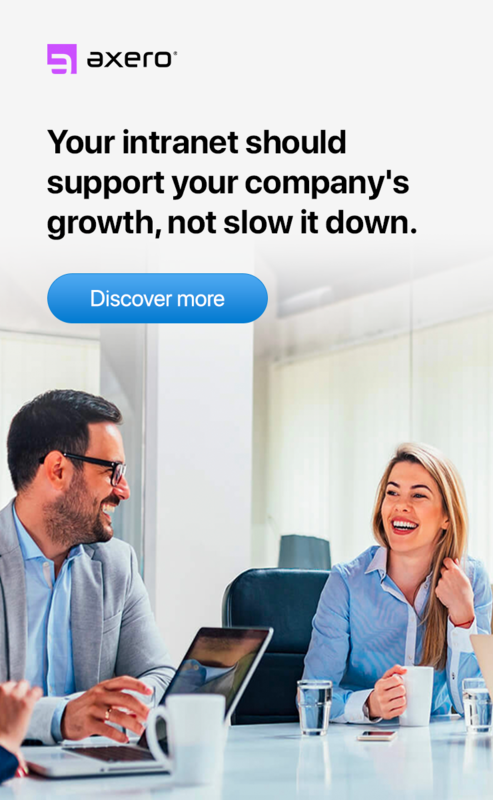 Since everyone in your company gets robust employee profiles, they can chat and instant message groups and individuals with just a few clicks. This eliminates the need for email, since every conversation is archived within the intranet ... so going back and recalling discussion is as easy as it gets. In essence, well-built social intranet software like Communifire takes the guesswork out of conversing with remote employees, and the associated benefits are impossible to ignore. Managing projects can be a full-time job, and this is especially true when people lack the tools they need to properly get the job done. You can have the strongest project management skills ever, but if you don't have a method of tracking everything and communicating this with remote employees, it can be extremely difficult to find success. Managing a project from beginning to end is super easy when you use social intranet software like Communifire. You can start a project, assign roles to employees, post comments, and update its status as time goes by, all without ever having to be in the same room as your staff members. The amount of time and energy that a streamlined project management system can save your team is one of the main reasons for embracing this type of platform in the first place. Whenever you sell products or services to an audience of clients and customers, you can usually expect them to have a few issues or questions now and then. Customer service is extremely important, and improving it can sometimes be a lengthy, difficult process. 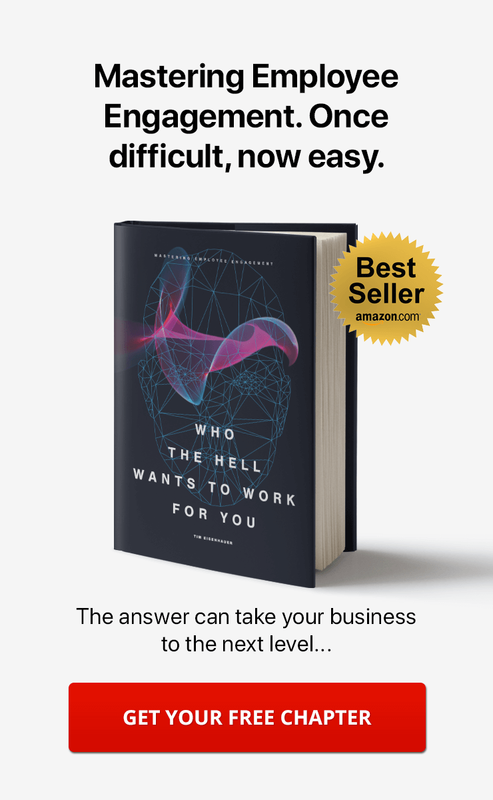 When taking your organization's customer service to the next level, you need to understand that yesterday's methods no longer resonate with today's customer base. Everyone is online today, which is why so many people turn to the Internet for customer service. Communifire allows you and your team to open up cases for any issue or question from customers and clients, ensuring that your employees can weigh in on the problem regardless of their location. Issue tracking has never been easier, nor has it ever been so important than in the past. Content marketing can have a dramatic impact on your company's success. At the same time, it can be a very difficult process when your staff doesn't have access to a robust platform. Perfecting the art of content marketing requires you to come up with a consistent schedule to produce high-quality, informative materials on a regular basis, which means you need to have the right editing and content management software. One of the most useful features of Communifire is its WYSIWYG editor, which means creating great content is something that anyone can approach with ease. There's no need to learn code or HTML to create great content. Managing remote employees becomes an easy process since your content creators can collaborate with each through your social intranet from anywhere. Once developed, content can be published both internally and externally ... giving you the option to develop internal documentation as well as blogs and wikis for the general public. Managing remote employees certainly comes along with its fair share of difficulties, and one of the main challenges is getting people together for a meeting. Just because everyone can't meet in the same room doesn't mean they can't meet at all, and the need for a simple, yet comprehensive scheduling platform is something that can help this issue. Communifire gives you the tools you need to schedule events in as simple or complex a manner as you'd like. Thorough details can be provided, or simple events can be quickly added to your calendar on the fly. Because social intranet software also allows every member to access both personal and shared calendars, sharing events and meetings with others is an easy process that promotes transparency within your organization. When staff members are fully aware of each others' commitments each week, falling behind typically becomes a non-issue. While there are surely a number of things that can get in the way of managing remote teams, one of the major problems is relying on a many different applications to handle specific businesses processes. When you take into consideration accounting, marketing, content development, and everything else that factors into a traditional business model, the amount of software that is often required can be head-spinning. Consolidation of processes is central to the design of social intranet software like Communifire. You and your staff can use the platform to communicate, create blogs/wikis, schedule meetings, and perform countless other tasks, all without having to log into a number of different apps. It should stand to reason that productivity levels can soar when employees don't have to worry about switching from one app to another every five minutes, and social intranet software makes this possible. Take one look at the list of features above, and it's easy to understand the power of intranet software like Communifire to manage remote employees. 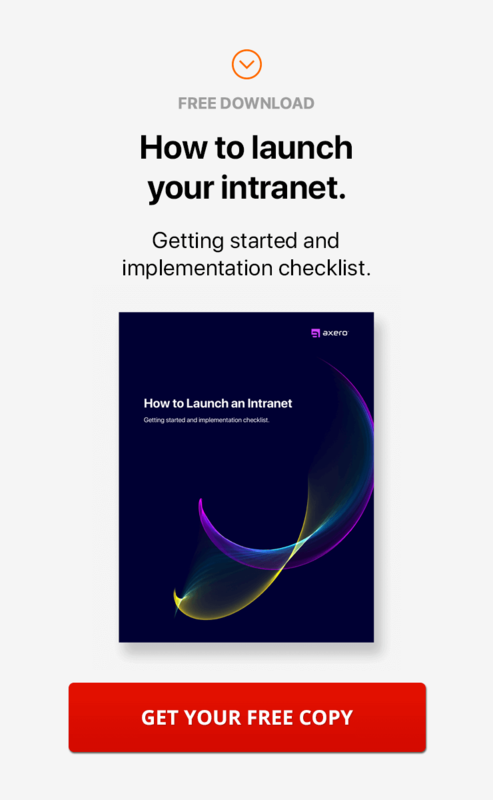 What makes an even stronger case for social intranet software, in this case, is the host of benefits that come along with making the switch. 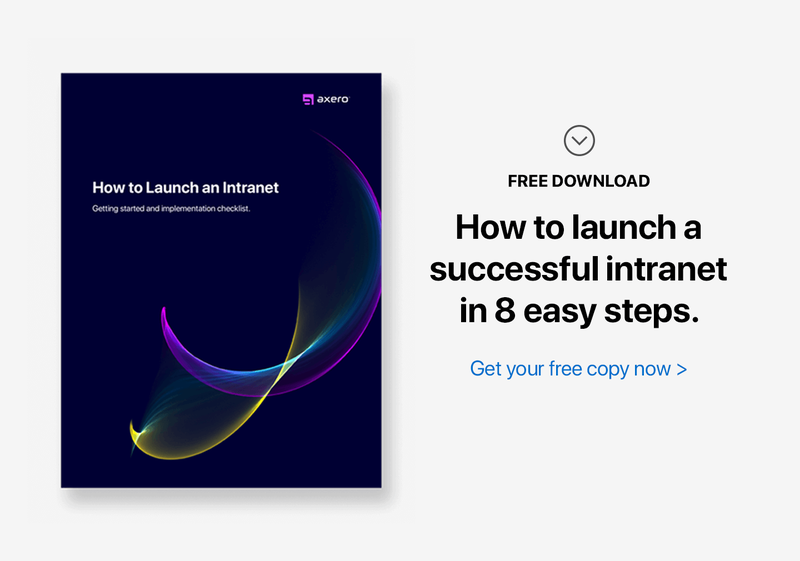 Taking a moment to internalize the perks of intranet software is a big step to getting the wheels in motion, and it's easy to see what can result when you embrace the transition. Today's businesses have a number of hurdles in front of them that often need to be addressed on a regular basis, and it's difficult to find one that resonates more heavily than employee engagement. Keeping employees engaged and interested in their work isn't easy, especially when you're not working directly with them. When you incorporate social intranet software, you don't have to put in a great deal of work to improve employee engagement, as it simply happens naturally when your staff begins to make good use of the social community. Collaboration is the key behind creating great ideas and solutions. When it comes to organizations that manage remote workers, the best way to enhance collaboration is to provide tools that can streamline the process in as many ways as possible. Enhanced collaboration is precisely what comes along with making the switch to Communifire, as colleagues can message each other, pass documents back and forth, and weigh in on customer service issues, among many other things. The age-old adage of "Time is Money" is something that still resonates with many of today's business owners. Every manager wants their staff to remain productive. Since social intranet software like Communifire takes away the stress of juggling a number of applications, you can expect productivity levels to soar in ways that might otherwise be impossible. When it comes to managing remote teams, sometimes the most difficult part of the process is keeping project details organized. This results in confustion that can derail a project altogether, which is why it's so important for a team to have access to project management tools. Communifire takes the guesswork and confusion out of project management, no matter how simple or complex the tasks might be. It's important for every manager and business owner to remember that an organization's employees and customers are its lifeblood. Keeping people happy is the kind of thing that should never be overlooked, and it's often as easy as providing the best possible support and service possible. Communifire gives your staff what they need to take quality customer service to the next level, adding a degree of humanism and transparency that can benefit any organization, regardless of industry. Given the fact that the vast majority of your clients and customers are likely online, it's never been so important to increase traffic to your website. While there's no magic bullet for increasing traffic, there are a number of tips and tricks that can help you increase your audience ... and content marketing is at the top of the list. Communifire's robust content creation platform can help you create the blogs and wikis you need to bring more visitors to your website ... and it doesn't take any prior knowledge of blogging to get started. With Communifire, managing remote employees and giving your business the tools for online collaboration becomes more of a possibility for today's forward-thinking businesses, and getting started couldn't be easier.